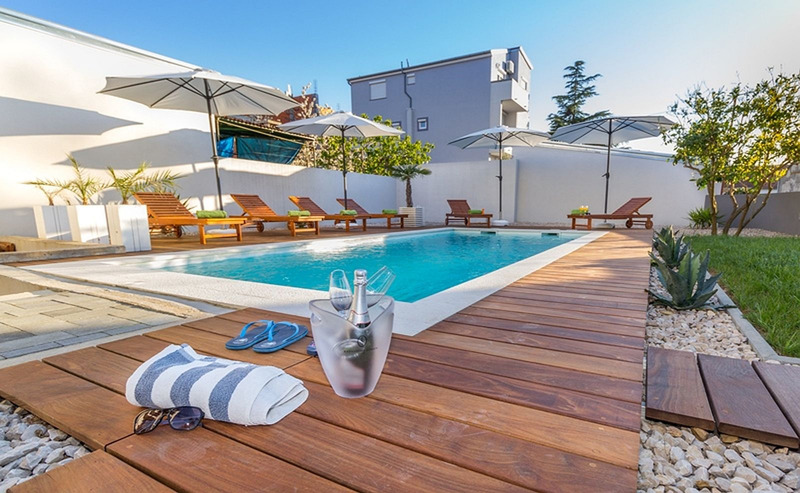 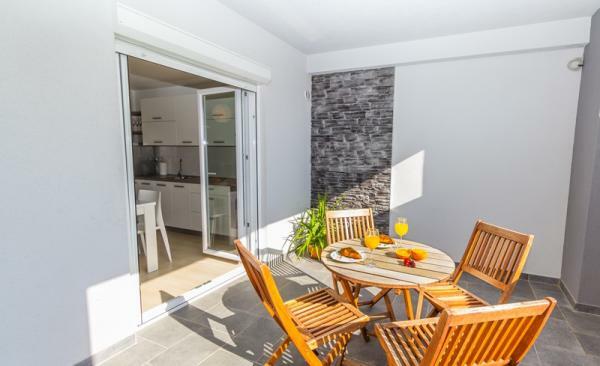 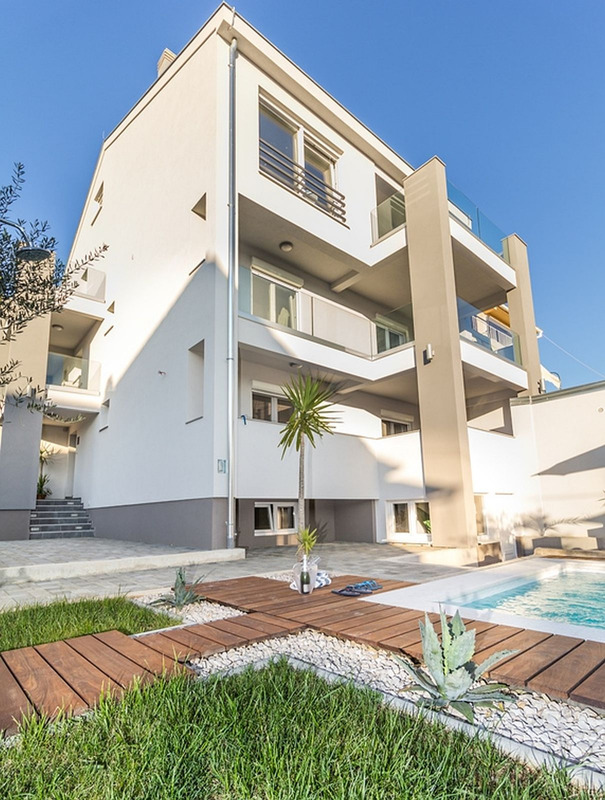 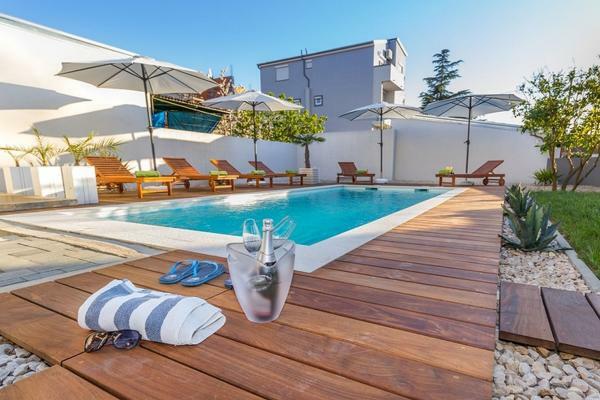 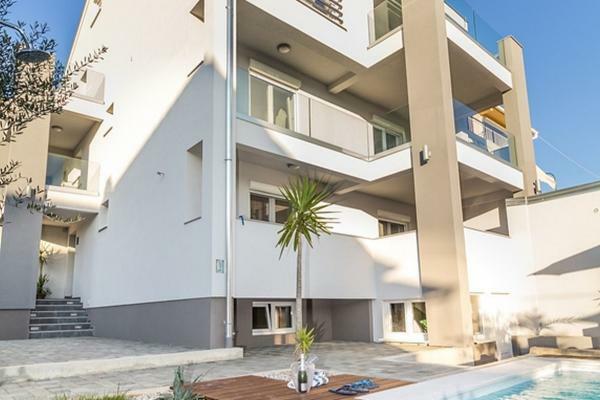 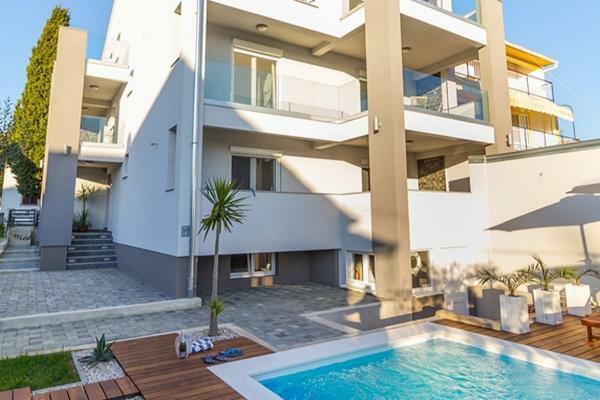 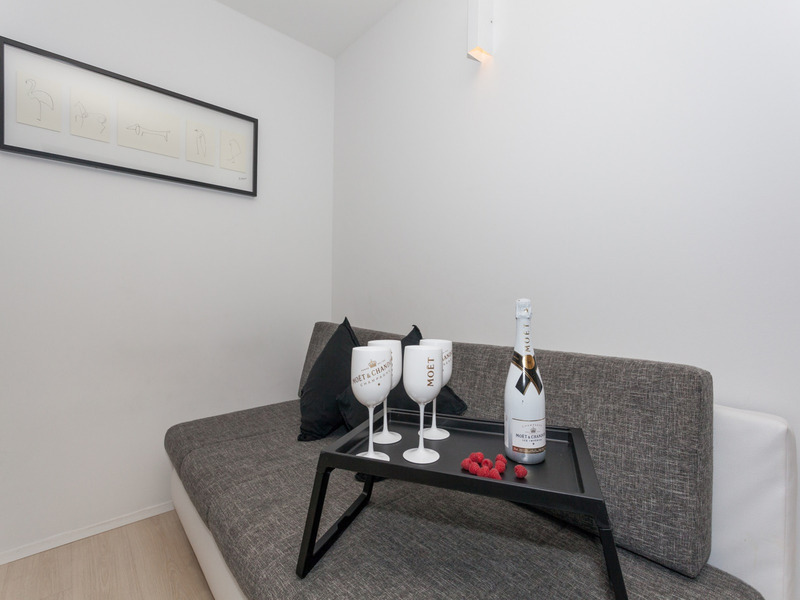 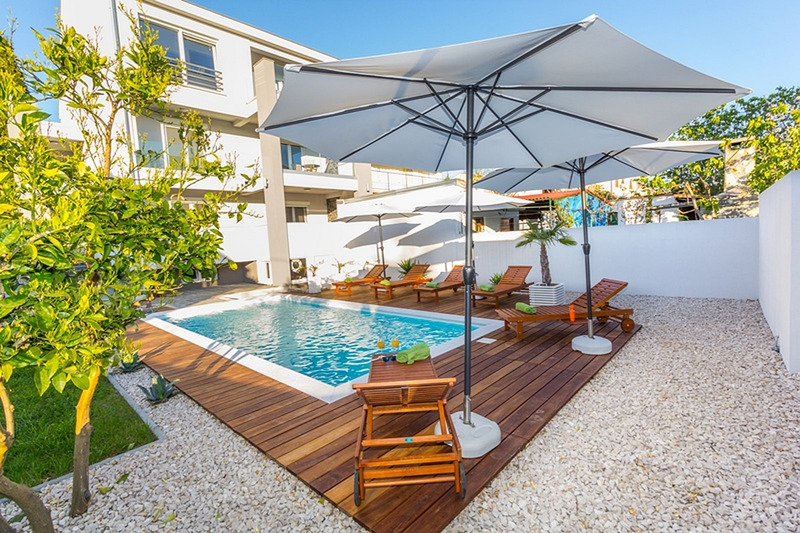 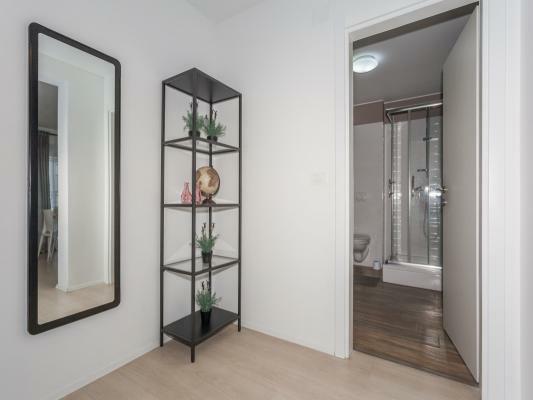 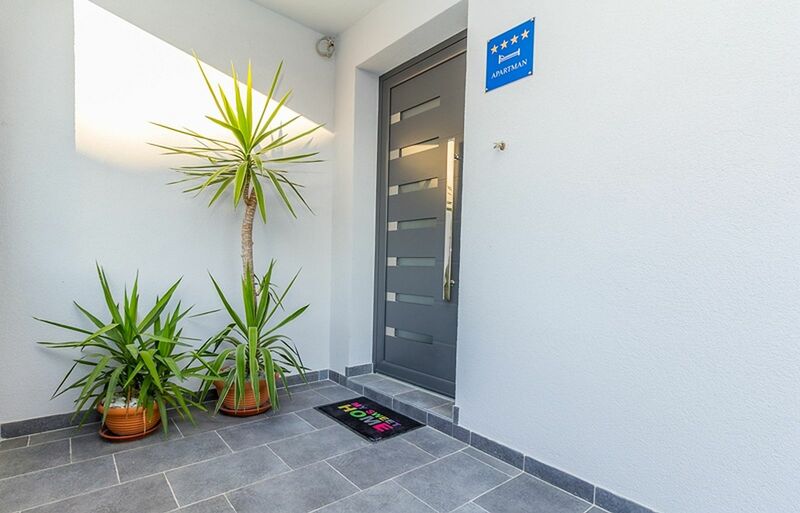 Enjoy your stay and vacation in Dalmatia, in holiday Villa Biograd, luxurious and modern newly built, lovingly decorated villa, situated in quite area of Biograd, on only 250m distance from the Bosana beach. 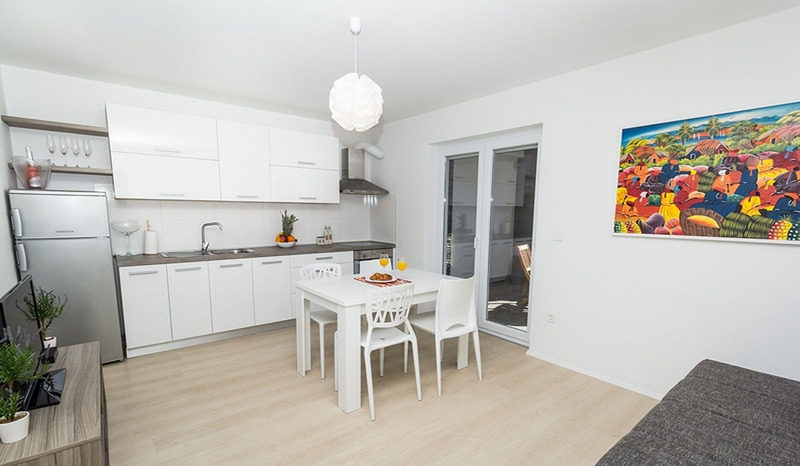 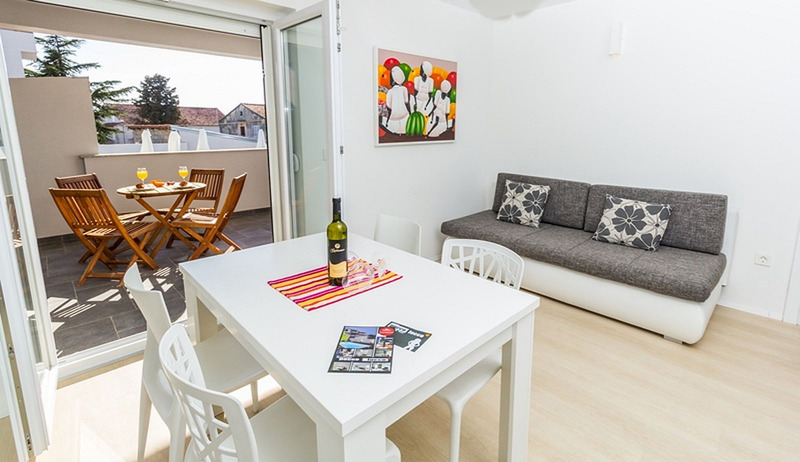 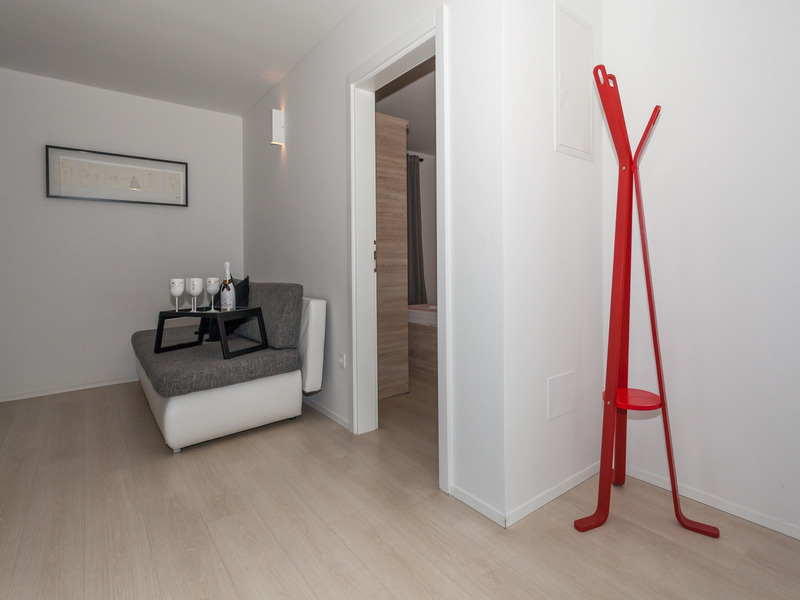 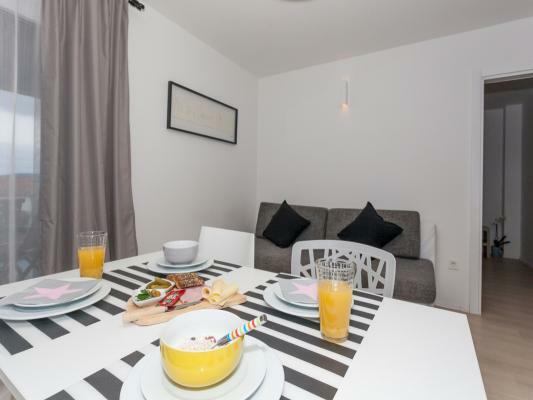 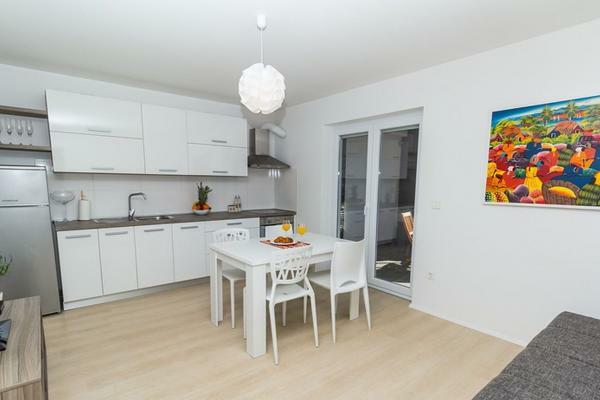 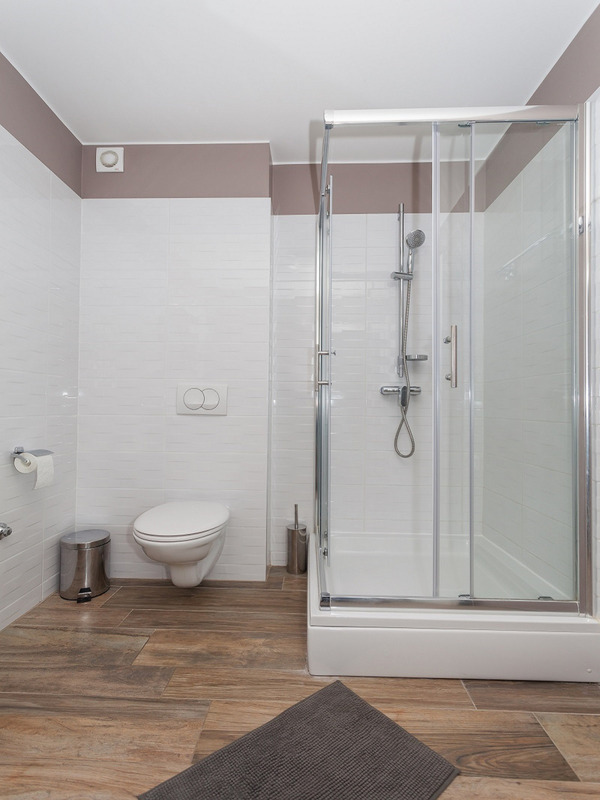 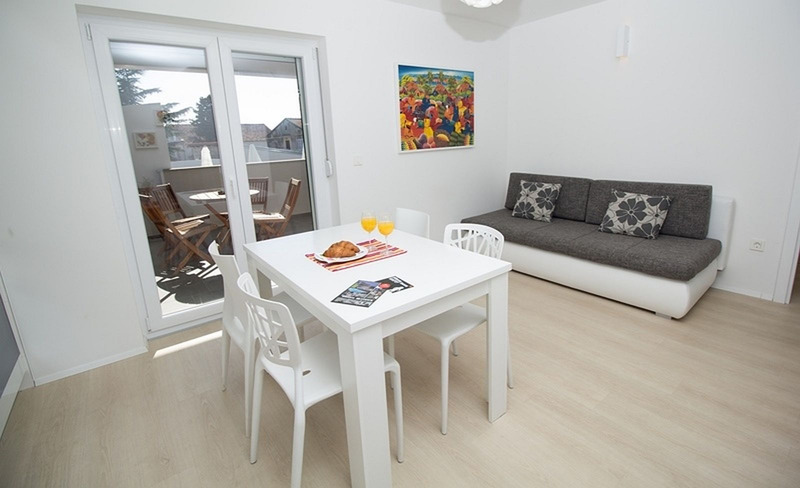 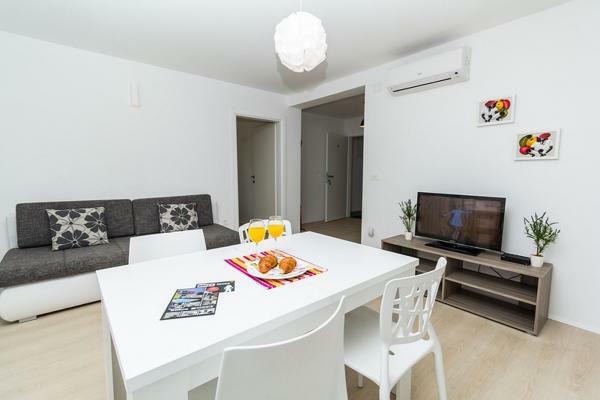 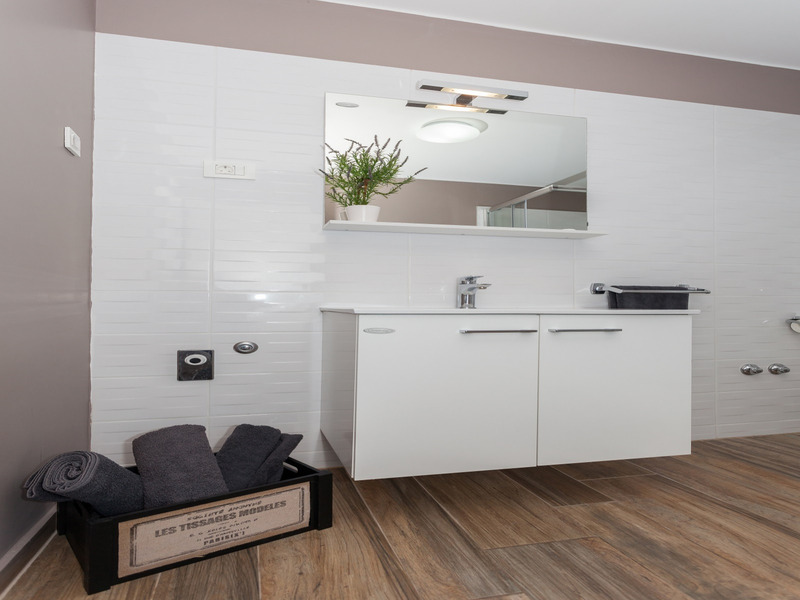 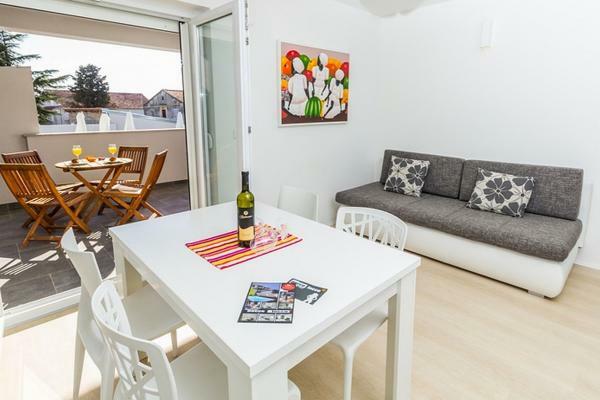 Villa Biograd offers you one bedroom apartment, for rent, on the base floor. 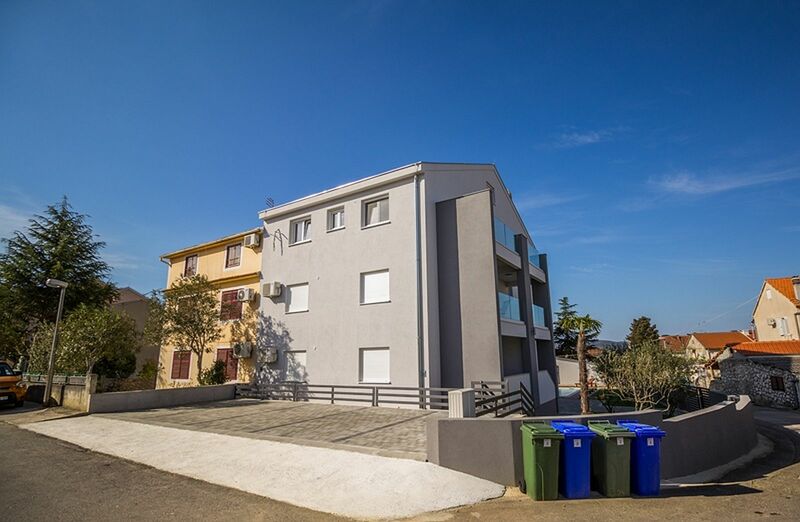 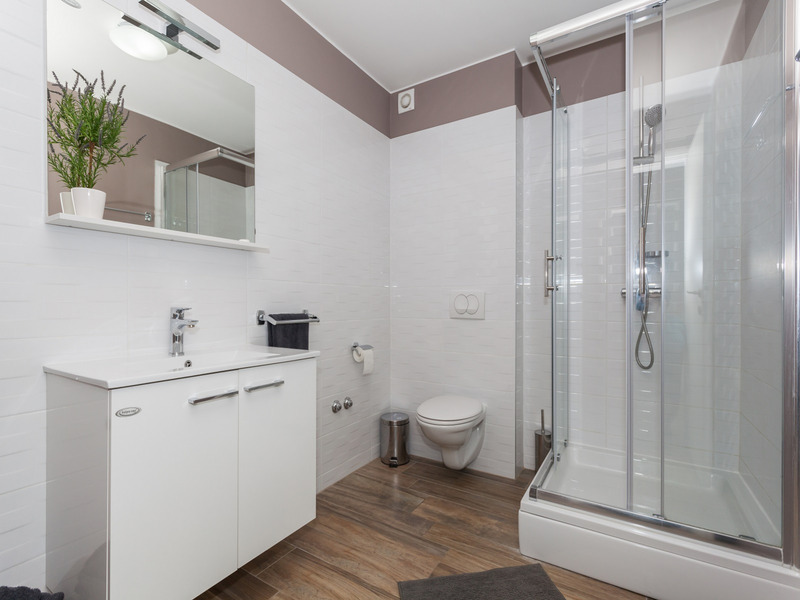 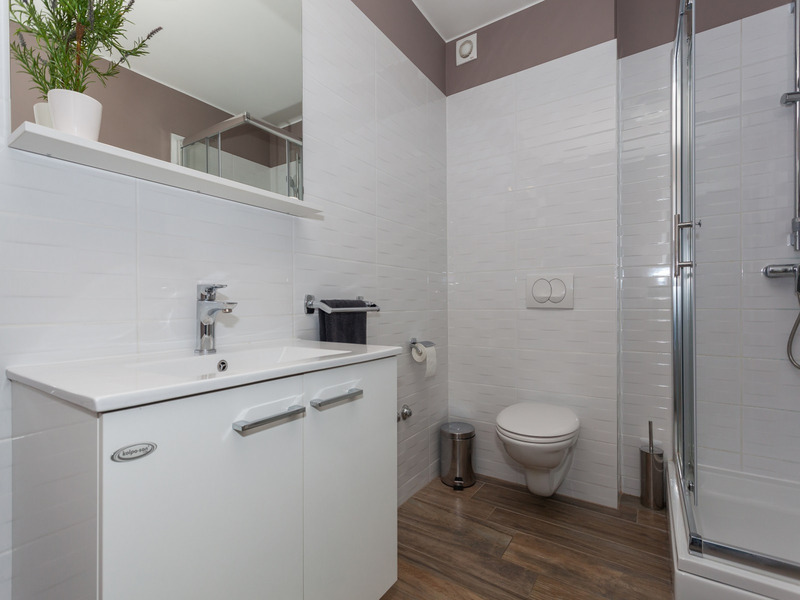 This accommodation unit has one bedroom with a double bed and a sofa for two persons in the living room, and is equipped with free Wi-Fi internet, bed linen, bathroom towels, kitchen linen, air-conditioning, safe, hair dryer, SAT-TV, kitchen with cutlery and crockery, oven, cooking stove, and refrigerator with freezer compartment. A baby cot may be arranged on request. 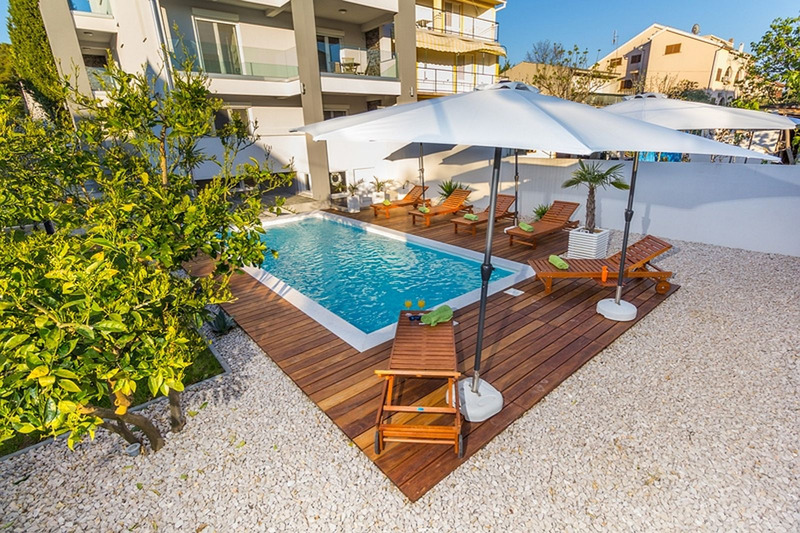 Shared facilities are the swimming pool, outside barbecue and the parking lot. 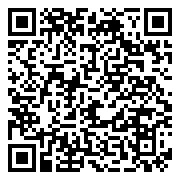 In this house are three more apartments to rent, one on the base floor N°1, check here, and two of them on the first floor N°3, check here and N°4, check here.